1/2 tsp chilli flake, according to taste or use a hot chilli sauce. I have used a little chilli oil in pictures. 1/2 cup natural yoghurt (optional). Without it, fish is less creamy. 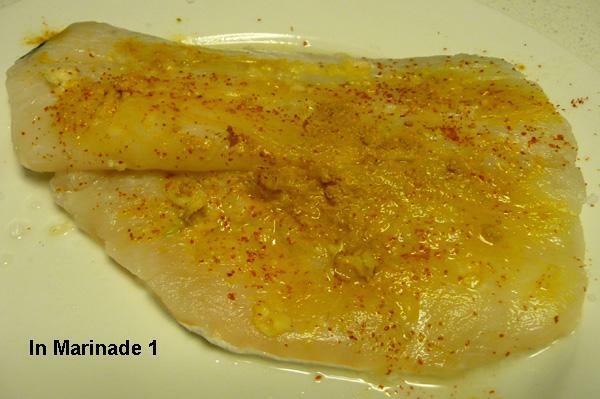 Cover fish in the salt, turmeric and garlic mix. Sprinkle a little chilli powder. Leave for 30 minutes or longer. Sprinkle a little chilli flakes and mustard powder and then drizzle a little oil on top. 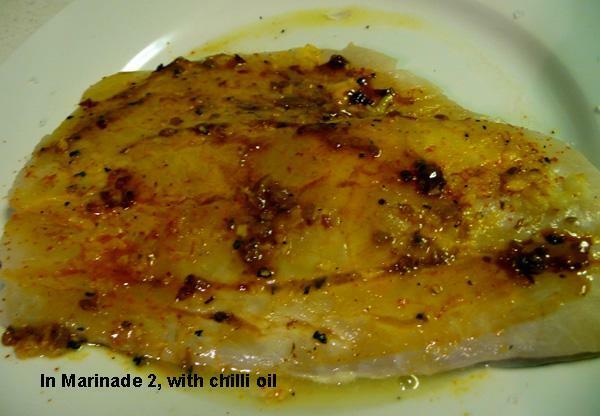 If using yoghurt, mix with chilli flakes, mustard powder and oil and cover the fish in it. Leave for another 30 minutes. 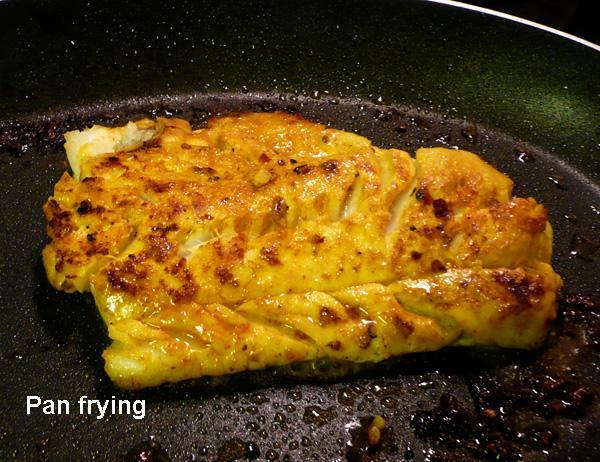 Frying; Shallow fry in a pan on medium high, until fish is cooked, turning over once to cook both sides. Oven cooking: Pre-heat oven to 225ºC/425ºF. 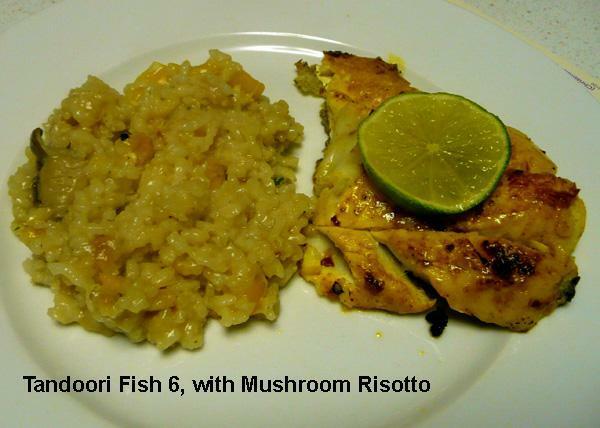 Place fish in an oven-proof dish or tray and cook for 10-12 minutes, until fish is cooked. It flakes to touch when ready. Serve hot with Rice or salad or mashed potatoes.